An ex con who wears his crime on his sleeve. A woman drowning in an ocean of secrets. Can they find love and hope in each other? Lorelei “Henry” Byrne was born cursed. Being able to spot a lie with perfect accuracy sounds like fun, until you have to live with it. Her whole existence has been hobbled by her hidden talent. She’s estranged from her family, has only one friend, and couldn’t get through a first date if her life depended on it. 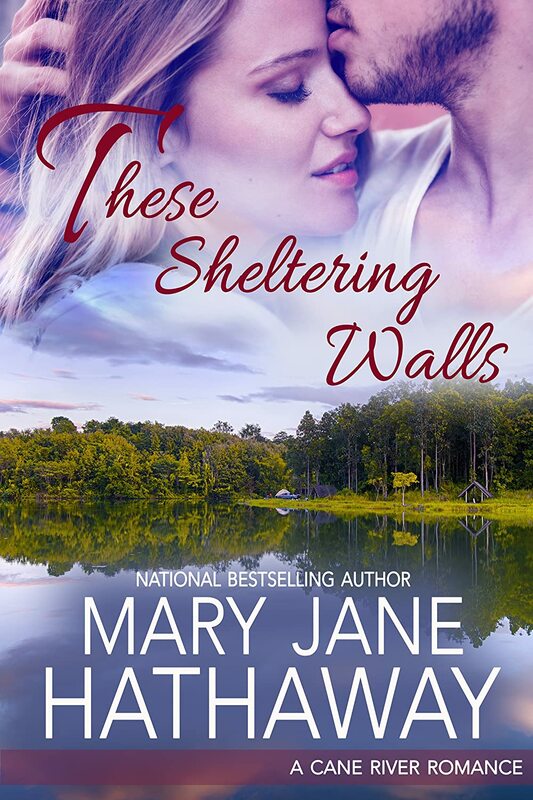 She throws herself into her work as the new head of the Cane River Creole National Heritage Park, resolving to be content in her solitude… until she meets Gideon, a man with nothing to lose and no reason to lie. After spending most of his adult life in prison, Gideon Becket has built a quiet life around the Cane River archives. He doesn’t believe he deserves happiness after the crimes he’s committed. When Henry arrives in town, everything starts to change, and Gideon wonders if there’s hope for him after all. But just as he takes the first steps toward forgiving himself, his past comes back to haunt him. Does he hold on to his guilt, or does he take a chance on a new life? Letting Henry into his heart will mean confronting his own tragic past, and take a courage he isn’t sure he has. The characters. This is, more or less, a character driven novel. While there is, of course, a plot, it is the people who make up this book and had me flipping the pages. Henry. One thing that I just loved about Henry is that she makes mistakes, but she recognizes them and she changes….and all before the last chapter of the book! *gasp* Henry is a human lie detector and so at times she comes across as self-righteous…even as she lies, but she grows so much and is such a fascinating character to be around that I never once found her to be annoying. Gideon. I really liked him because he was different. He’s not the first ex-con I’ve read about, but he is the first murderer I’ve read about. Usually in Christian novels, the ex-cons were framed or did something small but somehow ended up in jail. Nope. Not Gideon. He definitely did the crime. And because he has spent so many years in prison, his courtship of Henry is different and I enjoyed every minute of it. The romance. I don’t want to reiterate what I’ve said, but Gideon is a man who has spent time in prison…for a crime he did commit. He has some problems. And I’m glad that the author doesn’t shy away from those problems. Love is not the cure all, but it does give him a goal to focus on while he gets better. The secondary characters. There are many familiar faces from book one, who make book enjoyable, but I also really liked meeting the new faces of Tom, Patsy and Kimberly. Spiritually, the novel is not big on quoting scriptures. The characters go to church and pray, and often refer and talk about spiritual things, but I would have to say it’s light in this area. I think the only thing that was strange to me, was the lack of spiritual content. At one point, Gideon thinks about making a decision about something very serious, and I’m thinking, you go to church, you meet regularly with a priest, why do you simply not pray about it? Previous Post What I’m Looking Forward To….